An array of newly arrived teas laid out for a "cupping"—a comparison examination and tasting to evaluate their merits. My tea adventures in Minneapolis last month started off with Jon Singer and me throwing a tea-tasting at Fourth Street Fantasy convention, a tradition there. You can see pictures of the two of us waxing enthusiastic about a number of fine leafs near the beginning of DD-B's Fourth Street Fantasy 2013 photo gallery. Jon is a much bigger tea geek than I am. In truth, Jon is a much bigger geek about many things; he's one of the world's great polymaths. If you want to know about formulating porcelain clays, ceramic glazes, or dye lasers, ask Jon. Jon is also one of the world's great networkers; a fair number of you already know Jon. So, it seemed like a fine idea to see if I could arrange for the two of us to meet Bill Waddington of TeaSource (see my last tea column). Bill was off on a junket of his own—vacation plus tea buying plus a tea purveyors' convention, but we managed to work things out so the three of us could meet up on Jon's last day in town. That's Bill Waddington on the left and Jon Singer on the right, in Bill's St. Anthony store. This almost doesn't work this small. What I like are the details—the half-full glass between their knees, the fact that her toenails are painted, his tattoo, the older person's hand on his bicep, the way her fingers fan out delicately on top of his like swan feathers. Henry Rogers: "Presumably it's a story with actors rather than a slice of life. The glass, or plastic beaker, seems to be dry rather than empty. The girl has painted toenails but un-painted finger nails. Is that a real tattoo on the inside of the man's left arm or a transfer? Male tattoos are often where they show best, on the outside of an arm, but that wouldn't work in this scene. Both females have hands in more-than-casual gestures. It's an intriguing scene but does it mean anything? If not, does that matter. Oh, and it's pretty good technically too but that may not be the point. Tell us more please Mike!" Geoff: "I think you've probably answered this before but what do you use to put those nice filed neg. carrier borders around your digital images? (at least that's what I assume is going on here) Great shot by the way!" Mike replies: Several people have asked about the processing so here goes: Usually I do balancing (set the vignetting, burning and dodging, and image geometry [Lens Corrections > Manual Transform]) in Photoshop first. Then open in Nik Silver Efex Pro 2 and set the tones using the Global Adjustments, being very careful of the Structure slider which is one of those "crack cocaine" controls in post. (I.e., get addicted and you can't get enough...until your picture, like an addict's life, lies in utter ruins). Then I open a Color Filter, usually Yellow but infrequently orange or red, almost always backing it off from its default. Hint: look for mid-tones with the color filters, especially with skin tones. In Finishing Adjustments I use Sepia 19 for Toning, backing it off to the neighborhood of 20/20 for "Silver" and "Paper" toning. Generally I use a little more toning for images of people and a little less for landscapes or anything with skies. Finally, I use Image Border #3 and back it off to –95 in the Size slider. This last is the only real "fakery" in this method, but I'll tell you why I do it: it's to make my digital B&W pictures consistent with the rest of my life's work. I see my work as a continuity. Film to digital was a huge disruption for me as it was for many people, but if a film and digital B&W picture are framed and hung near each other, I don't want either one to scream "this is film!" and "this is digital! "—I want people to look at the pictures. I probably wouldn't use a border if I were starting out now, but I'm not starting out now—I have hundreds of pictures already in my print cases that have borders. So the new ones need to be, not identical, but aesthetically consonant with the old ones. I now almost never start with sharpening or noise reduction. I've found that current cameras are sharp enough with no adjustment or just a little "Clarity" and don't need more, and what noise I see is seldom intrusive. (This is quite a big change from, say, 2005, when we were preoccupied with sharpening and noise.) Note that B&W has an advantage here because we don't see chroma noise nearly as much. But I seldom use sharpening or noise reduction on color pictures now either, at least for Web use. I seldom use Curves but when they're needed it would be very difficult to explain in words what to do. I just know what images with various curve shapes look like in B&W images, from long work with enlarger printing and film and paper sensitometry, so when I see any of those "looks" in the digital image I know what to apply to counteract it or back it off. This would require a short seminar-type class to convey properly (and it would take me a lot of time to work how to teach it). But I seldom use Curves, so you can ignore this bit. In general, processing is not really a technical matter. Yes, you need the technical skills so you can implement your adjustments, but what it's really all about is judgement: taste and intention. That is, what looks right to you, and what you want the picture to look like. In "amount," processing might well be less important than how you see and what you take pictures of; but in "quality," it's every bit as much about your personality and preferences, your own idiosyncratic sense of "there, that's right, that's the way I like it and think it should be." That's 85% of post-processing for me. It will naturally be more or less for others, because some peoples' work is more about processing and some peoples' work is less about it. And specific to me, here are two hints about the way I process. With almost every control, there is "too little" and "too much." It's easier to judge the proper amount of almost everything by starting with too little and creeping up on "too much" gradually or incrementally. If you start with massive amounts of Structure or Clarity, it's more difficult to back off to find the right point. Start off with too little and move up on it until it seems like enough. What I do with almost every parameter is to move up on it until it becomes noticeable, then back off just a tad. I never want people to look at a picture and say "what a beautiful print!" or "what excellent post-processing!" first. They can say that later if they want to. But their first reaction should be to the visual contents of the picture—in this case, parts of the bodies of three people touching and the details that provide clues as to their identities and situation. That's the important aspect of the picture, not how much toning I gave it or whether it's super-sharp or not. Finally, Taran asked how size could matter. That's art school 101 (i.e., very basic, and very important) but—talk about size—it's too big a subject to cover in this already-too-long reply. If you take a picture while driving, never post it. Or never admit that you took it. Or ascribe it to someone else. Peter Falk voice: "This was taken by Mrs. Columbo, who was with me at the time. She's quite a shutterbug, she is. Oh yeah, she loves the cameras and the photography, the whole thing." On the other hand, the above picture is a perfect example of "cool with warm accent." That was an assignment Paul Kennedy gave us in photo school...that I failed. Just wasn't able to come up with one at the time. And ever since, whenever I take one, I think of that assignment and think, "This would have worked." I should send this to Paul. I actually kinda like the picture. For some reason, the opposite—warm with a cool accent—doesn't work nearly as well. Maybe Ogg evolved predisposed to see campfires glowing in the dangerous murky dusk. Matthias Jennerholm, Stockholm: "Is this your first surrealistic post Mike? I only understood the Columbo part and that shooting while driving is illegal. Or something like that. Anyway I enjoyed my confusion." B&H just announced a special sale price on the Sony NEX-6, currently my favorite camera. Several NEX-6, NEX-5R, and NEX-3 bundles are discounted up to 23% ($150). They didn't tell me how long this deal is going to go on. Honestly, though, I still think the Micro 4/3 system is a better bet for your small grabshot camera. The lens I like for the NEXes is too expensive, and Micro 4/3 is, well, Shangri-La for lenses...there are lots of good ones from all sorts of makers at most every price level. Much more flexibility. And more fun. I received an Olympus E-P5 kit for review recently, and was quite taken with it. Review in progress, by a member in good standing of the Legion of Distinguished TOP Guest Writers. But if I had any money to spare, which I don't (tuition bill coming right up), now would be the time to get a NEX-6 backup body. Oh, and one more item about the NEX-6: Brian Matsumoto and Carol F. Roullard's new Rocky Nook book, The Sony Alpha NEX-6: The Unofficial Quintessential Guide, was published two days ago and is now available from Amazon. I've requested a review copy. Steve Biro: "If I were to go for the NEX-6, I would keep the size and cost of the kit down by opting for the 16–50mm power zoom and limit my other lenses to the Sigma 19mm and 30mm primes. And even the Sigmas could wait until they went on sale." Forget Christmas. It's Amish green bean season here in Waukesha. Hallelujah. We have a little vegetable stand—a guy who sets up in the bank parking lot about a mile from here. For about three months every year, starting in mid-June, I live on his green beans, which he buys from the Amish up in...I don't know, I forget the name of the town. Shangri-La, should be, the mystical mythical happy land. And I remembered to go down there this morning before my coffee. I don't always remember, and he tends to run out. It's green beans for lunch and green beans for dinner today. These green beans are so wonderful. (Did you know kids can detect a bitter taste in vegetables and people tend to like them more as they proceed through adulthood? I don't really know if that's true. Just something I heard somewhere recently.) I keep telling the vegetable guy to remember to thank the Amish for me. (You can't email those people, you know.) Those Amish up in Shangri-La, Wisconsin. Today, just for fun, try thinking of one of those little things in life you're thankful for. Chip McDaniel: "I know what you mean about Amish produce. Here's some Amish handiwork from my neck of the woods." Ctein has finally finished fulfilling the orders for the Dye Transfer Blow Out Sale. The final prints will ship today (Monday). Everyone should either have their prints or have gotten an e-mail from the U.S. Postal Service with a tracking number. If neither of those things has happened, please contact Ctein (ctein@pobox.com) immediately. Again, a reminder: Ctein really needs to hear from you when your print arrives safely. He can't close out the sale until he knows everyone's order has been successfully fulfilled. Please shoot him an email if you haven't already. Thanks! The sunset tonight, from the car. The parked car, that is! I got some criticism yesterday for the first picture in the "Pool Lesson" post. A number of people (I didn't post all the negative comments) thought I was being irresponsible to take a picture from the car while driving through a rainstorm. I was inclined to defend myself at first. But, truthfully, I couldn't really remember what I actually do when I take a picture from the car. I do it so semi-unconsciously that I'm not really aware of it. Does it actually distract me? Am I being reckless and just not acknowledging it to myself? Then I thought, wait a minute—I'm supposed to be one of those guys who tests stuff. Why not test it? So I threw the NEX-6 in the car and off I went. I photograph quite often from the car, not because that's a good way to photograph but just because I like to drive around. Naturally, whenever I take a "composed" picture, looking at or through either of the viewfinders (EVF or viewing screen), it's with the car stopped. I can't recall ever trying to look at or through a camera viewfinder while the car is moving (I didn't try that tonight, either). Now, of course, we are all responsible for our own self-preservation. You should never do anything that puts your life or safety or the lives or safety of others in jeopardy, and I'm not suggesting you do so. Ultimately you're the arbiter of what distracts you, and you should act according to your conscience. But for myself, I'm very comfortable driving the car (at moseying-along speeds, anyway) with just one hand on the steering wheel. For a very good reason: for most of my life I've driven cars with stick shifts. Left hand steers. Right hand shifts. Right hand often rests on the stick. The camera sits on the passenger seat. When I'm getting ready to shoot, I pick it up. Do I look at it when I pick it up? No, turns out. I just grab for it. My hand knows where it is. So next I held up the camera as if I were taking pictures blind through the windshield, to see if it blocked my view. Not much, it turns out. It mostly blocks my view of the dashboard, and it's over so far toward the middle of the car it's really not blocking my view of anything out the window. And of course if there's something way over to the right that I really want to see, I can always just move my hand. Normally I just hold the camera up for a few seconds, enough for a few clicks. But for this test, I drove along for miles that way, just holding the camera up like that, asking myself, "Objectively, now—is this unsafe at all?" Again, you decide for yourself. I don't want to be a bad example. But for taking pictures without looking...well, I could operate the camera in my sleep (and sometimes do—I think I've admitted before that I sometimes dream of shooting! ), and I really just don't think it's dangerous in the slightest to drive and snap out the front windshield at the same time. For me, at least. As long as you're keeping your eyes on the road and not looking either at the camera or through it. Your mileage, as the Internet expression goes, may vary. Paul McCann: "I'm with you on this. I get so tired of this 'Health and Safety' whingeing. Can't do this. Don't do that. The English police even prosecuted a woman for eating an apple while driving. World has gone mad." latent_image: "There's a lot of rationalization in this post Mike, and I'm not buying it. Distraction kills, and taking photos while driving is distraction. Eating, texting, talking on a cellphone (whether hands-free or not), fiddling with an MP3 player, etc...those are the things that distract you during the split second in which you obliterate a kid in a crosswalk. My suggestion while driving is to do just one thing: drive. Who wants to be one of those idiots who hurts or kills someone because they were foolishly distracted?" Mike replies: I admit my own behavior violates my own values. I, too, am one of those people who advocates "when you drive, just drive." Taran: "Obligatory Andrew Bush set...."
Simon (partial comment): "My mileage differs significantly, and I blame it on the cars here in Australia being right hand drive. I'm trying to grab the camera with my left hand then swap hands to shoot." Mike King aka darkroommike: "One of my biggest sources of artistic frustration as a young man was that my father never would stop the car when I wanted to shoot a picture. In his mind: destination and sleep = vacation. We got three stops per day, two stops for the facilities and one stop for lunch, I'm sure that if the drive-through had existed in our part of the world in the '60s and '70s we would not have stopped for lunch. So now I make it a point to stop frequently, walk about a bit and take photos. (I don't really blame Dad for not wanting to stop; it must have seemed an enormous waste of time to unload and reload five children every time I wanted to shoot a photo!)" He was known to the public at large as the writer of Eric Clapton's hits "After Midnight" and "Cocaine." But then, he never wanted to be known to the public at large. Oddly, people cover "Call Me the Breeze" on Lynyrd Skynyrd tribute albums...even though Lynyrd Skynyrd's version was a cover of J.J. Cale. He was called J.J. rather than the name he used in the first half of his life, John, to avoid confusion with the Velvet Underground's John Cale. Neil Young once said, "Of all the players I ever heard, it's gotta be Hendrix and J.J. Cale who are the best electric guitar players." 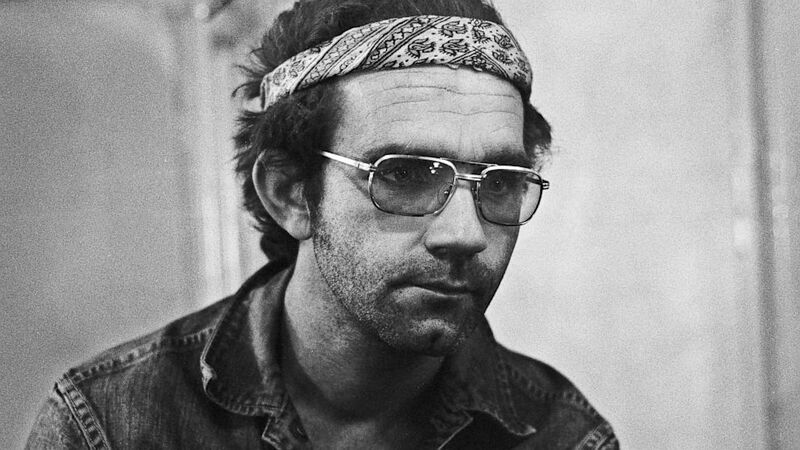 Eric Clapton said simply that J.J. Cale was the person he most admired. If you're unfamiliar with him, download "Naturally" from iTunes, his 1971 debut effort for Denny Cordell and Leon Russell's Shelter Records. You'll either be hooked or you won't be—Cale was laid-back to a fault, and sounded just like an old black man even when he was a young white man. The modality is country blues, the riff on it unique. I adore the song "Magnolia." But "Clyde" no less, really. My favorite of his albums is probably Shades, with its cover reminiscent of a pack of Gitanes. Most people have a favorite album, one or another, often the one they got to know first. Late in life he said, "If it weren't for Eric Clapton, I'd be selling shoes now." He died of a heart attack on Friday, age 74. On jjcale.com it says, "Donations are not needed but he was a great lover of animals so, if you like, you can remember him with a donation to your favorite local animal shelter." You know what's playin' Chez TOP today on the downstairs system. J.J. Cale on scratchy old vinyl. Perfect art. "Open Mike" is a series of off-topic essays by Yr. Hmbl. Ed. that appear here on Sundays. *But I don't want G*tty climbing up my a**. Andrew Molitor: "Cale's a perfect metaphor for a lot of what I think about photography. Some of his best recordings are just some session players he grabbed from someplace and a drum machine. You don't need a bunch of gear to make great music. You don't even need good gear. You didn't even need gear capable of making particularly high fidelity recordings. What you need, what you can't escape from, is some great music. Extending this to photography is left as an exercise for the student!" "In later years, my musical friends and I have practiced hours and hours on end trying to emulate the typical Cale sound. It is all about laying down the right groove, in which each single instrument involved does very little individually, but what it does has to be just right. A true joy when it happens (not very often...) and a thing of beauty when you hear it practiced by J.J. Cale and his friends. "I hope he has not suffered much and may rest in peace. Been listening to his music (LPs and CDs) for the past two days to no end." Gloom and doom, sturm und drang. Sweetness and light, and downhill all the way! Seems like I've been playing hookey a lot recently. A couple of days ago I did it again: I took my trusty Sony NEX-6 and my trusty (well...) J. Pechauer cue and drove to a club called The Brass Ring in Madison for, of all things, a pool lesson. So how was it? Permit me a metaphor. You're hiking, and come across a hole in the hillside. You crawl in. To your surprise, you find it's a cave. You explore a little further. It gets a little bigger. By the time you can stand up, the light has faded to almost nothing, so you're exploring very slowly and carefully in the dark. You feel your way step by careful step, groping along the rock walls. You're thinking, this ain't so much fun. Maybe I'd better bail. ...Over to one side is a friendly, smiling gentleman named Jerry saying, "Oh, and over here...."
Well, maybe I exaggerate. A little. Bottom line: it turns out there is much, much more to this than I thought there was. considered the ne plus ultra among connoisseurs. Jerry is famous in pool circles as one of the best instructors in America. Unusually, he's been teaching pool for 50 years (cue sports teachers have never been very common, but they were less common 50 years ago). From all I've heard from anyone, he has a reputation within the game that's solid gold. You know those few-and-far-between teachers you've had who just seem born to teach? One of the best for me was Beth Sieckman, who taught me 7th grade oceanography and 8th-grade paleontology, although I was fortunate to have more than a handful of great schoolteachers in my time. They're people who just have a gift for making complicated subjects simple, meeting students where they are and opening their eyes. Mrs. Sieckman would have glowed just as brightly as a teacher had her passion happened to be Mozart or motorcycle maintenance; she just had the gift. She taught me the discipline of writing, for one thing, more than any English teacher I ever had (and I had some fine ones). I get the feeling Jerry Briesath is cut from the same cloth—the only difference is that he teaches his passion, and that is pool. And let's face it, there's just nothing more fun for a student, any student, than struggling and struggling to understand something and just not getting it, and then having a gifted teacher come along and turn on that lightbulb over your head! I had not one, but five or six of those moments on Friday. Absolutely the most fun I've had in ages. When Jerry showed me how to play position for six different balls around the table from the same shot, and I did it myself, I was grinning like a kid. Couldn't help myself. One more example: If you've ever played pool, you probably know what a "hanger" is—it's a ball that's hanging right near lip of the pocket, those annoying shots on which casual players often scratch. Well, it turns out there's a whole encylclopedia of "hanger knowledge." (Who knew?) Not just how not to scratch, but how to change the angle of the shot and the direction of the cue ball after hitting a hanger in a myriad different ways—even how to "cheat the pocket" to affect the speed of the cue ball after the hit by 10X. Applied physics; totally fascinating. While I take a break, Jerry answers a question from a former student and his friends at another table. As the owner of two Madison pool rooms for many years, Jerry was his own "house pro," and says that was the most challenging kind of teaching—finding a way to increase peoples' enjoyment of the game in just a few short minutes. He really makes me think that I should start a "photo school" series here on TOP, and try to impart what I know about getting better at shooting. Contrary to what you might think, I've never really done that here on TOP, except perhaps with my "Leica for a year" post. Well, I won't go on and on. Suffice it to say that I almost didn't do this. I played pool for five of my teenage years with my more coordinated younger brother (hi, Scott! ), and then just recently took it up again on doctor's orders*. I'm a neophyte, and I originally considered it both presumptuous and indulgent on my own part to sign up for a lesson. But boy, am I ever glad I did. I just didn't know there was so much to learn**. Those "lightbulb experiences" are just so much fun. I've already signed up for lesson #2, later in August***. Jerry Briesath at the Brass Ring, Madison, Wisconsin. He teaches in Phoenix in the winters, but most of his students fly in from all sorts of places. Anyway, Friday was a great day for me. (Fittingly, the skies outside even cleared during the four hours we were inside.) It was really ten times better than I thought it would be, and to say I'm enthused is an understatement. Many thanks to Jerry for a great experience. *My doctor said I absolutely had to stop sitting at the computer for such long stretches of time and get up and move every couple of hours, so I cleared a corner of the basement and put a used pool table in it. And it has worked already: for years I've been plagued by neck pain, not terribly serious but chronic, and it's been gone for weeks now. That alone is worth everything I've done so far. **Really, I had no idea. **Chris Norris said he almost stopped in at the Brass Ring to see me when he heard I'd be there, since he lives down the street from the place. Next time I'm there I'll alert people, and anyone who'd like to show up after my lesson can come on by and say hello. dan meyers: "Yikes, Mike! You're photographing while driving in poor weather, not what I would expect." Mike replies: Don't worry, Dan, I wasn't looking at or through the camera. Just holding it up and clicking away, eyes on the road the whole time. I took something like 40 shots in three batches to get that one. I don't have to look at my camera at all to turn it on and click away. Kevin Bourque: "I had some similar "lights on" moments when I did a Howard Bond workshop some years ago. He didn't have any magical chemicals and my gear was every bit as good as his. He just showed me some very practical tricks, and more importantly, gave me new ways to think about what I was doing. We're never too old to learn, eh? Makes we wonder what else I might be good at. ;-) "
Mike replies: It's been a while since I talked to Howard—I really should remedy that. I will say that never taking a photo workshop is one of my great regrets in photography. I was teaching before I even got out of school, and somehow I skipped that phase. I really wish I had taken two or three workshops with teachers whose work I liked and admired during the appropriate phase of my involvement. Jay Tunkel: "One of life's hardest lessons: You don't know what you don't know." Chaz L: "Congratulations, Mike, you're learning from one of the very best! I've had the occasional itch to take a lesson from Jerry, but the prospect of flying in for three days always deterred me. If I was within driving distance, it would be a no-brainer. Enjoy applying your new knowledge on the table." Dpreview.com has posted its review of the Canon Rebel SL1, Canon's "tiny SLR" answer to mirrorless for those who prefer traditional through-the-lens viewing via the tried-and-true flipping (reflex) mirror. I haven't read it yet, but as a "liker" of small cameras in general I'll be interested to see what they think of it. Now if only we could get our friend Oren to review it...but you can't have everything*. P.S. I'll be late posting comments today because I'm off to Madison to take a pool (billiards) lesson, of all things. With this guy. Should be interesting. I might write a report come Offtopicday, a.k.a. Sunday. I'll take pictures. UPDATE 5:30 p.m.: I have returned from Madison, mind suitably blown. I learned much more than I knew there was to learn! Absolutely outstanding lesson, absolutely outstanding teacher. I am, as our British friends say, gobsmacked. Tune in on Sunday, if you care to, for a report. With pictures as promised. Dogman: "An interesting camera for Canon's APS-C format. But the EF and EF-S lenses are still pretty large compared to 4/3 format lenses. Having a small camera with equally small lenses is why I keep my old Olympus DSLRs to use along with my Canon DSLRs. (Besides, the Olympus 4/3 lenses are simply outstanding.)" Jason: "I too am a fan of small cameras. Having handled this extensively, it reminded me of my beloved Nikon FE. Yes, I get it—dimensionally it's not the same, but it gave me that satisfaction. Saving up for one now." JK: "Funny, I was just thinking of recommending this one to Oren because I suspect he may still have some Canon lenses around. "Here's my mini-review: it's even smaller than the photos suggest, and light too, but it still feels good. The shutter does a most satisfying little 'snick' (though the 'silent' mode doesn't sound as nice, and isn't much quieter). Image quality is of course just like all recent Canon APS-C bodies, i.e., good enough for most anything. As always, you appreciate it most when you go back to what you were using before. The 600D suddenly feels big and the 6D just ridiculously bulky. Pair it with a small lens like the old 28mm ƒ/2.8 and it begins to feel like almost all you need. Well, all I need anyhow. I think I may have to buy another." Here's a bit of fun. Did you know that our modern saying "A picture is worth a thousand words" comes from a Chinese proverb: "One picture is worth ten thousand words"? It’s been attributed to Confucius. It isn’t a Chinese proverb at all. It certainly isn’t ancient. Despite being attributed by some to Confucius, it's less than a century old and has its origins in Western culture. Advertising to be exact. It appeared in a 1927 advertisement developed by Fred R. Barnard for Royal baking soda. Possibly, it is based on a quote by newspaper man Arthur Brisbane, who is credited in 1911 with saying, "Use a picture. It is worth a thousand words." Original contents copyright 2013 by the bylined author. All Rights Reserved. Links in this post may be to our affiliates; sales through affiliate links may benefit this site. "It's first recorded in a story from the Western Han Dynasty (2nd century B.C.E), and is attributed to a conversation between Emperor Han Xuan Di and a man named Zhao, held on a battlefield. It's an interesting story. Zhao's advice to his Emperor was to go check out the enemy troops for himself, because 'you'll see the actual situation at a glance, rather than my trying to describe it for you.' They eventually won the day and the Jiang barbarians were defeated. The Chinese love proverbs and this is a famous one." Roger responds: "This has sparked some interesting debate. Certainly 'one hundred hearings does not match a single viewing' is ancient, but isit the same as 'a picture is worth a thousand words'? I agree the sentiment is the same. You can decide for yourself whether the genuine venerable Chinese saying refers to a fixed image, or whether it is limited in its meaning to advising that seeing for yourself is better than having someone describe it to you. I sense they might be different. Or maybe I'm wrong. "And here's a curious thing: 'one look is worth a thousand words' was also used in advertising circles in the early 1900s. In fact, our friend Fred R. Barnard used it himself. There is some information here (though some readers will splutter into their coffee at the mere suggestion of Wikipedia). More information, including my source material and the original advert with the Chinese proverb is here. "The latter reference has an illustration with what appears to be Chinese writing. Could a TOP reader help with a translation? Is it a fabrication or is it the ancient saying referred to by Rev, Heng Sure? If anything, as the TOP community we could provide a valuable service and clear the origins up once and for all." hugh crawford: "I used to have a T-shirt that said, 'A Picture is worth a thousand dollars.' I got at a trade show back in the 1980s. Oh, and the rule of thumb is, 'A picture is worth a thousand words if it runs at 30 column inches.'" Mike replies: Maybe today the T-shirt would read, "A picture is worth 16 million pixels." David Dyer-Bennet: "A thousand words is roughly six thousand bytes, so a picture worth that would be pretty small." "The Chinese writing Roger refered to in his response reads 'Hua yi neng da wan yan,' literally, 'The meaning of a painting can equal thousands of words.' To me it seems like that's actually a quite awkward Chinese translation of the English expression 'A picture is worth a thousand words.' As an educated Chinese in his forties, this is the first time I've ever seen that as a 'Chinese' proverb." You gotta see this. Note the start date of the funding period. Zowie. Josef: "Less than 24 hours and it's already pushing $400,000 (as of 6 p.m. Central Time). "I thought it was a pretty cool idea. Seems like a lot of other people thought so, too. I bought one for myself this morning. It just happens to come along right when I am diving into a photo history book for the first time in a few years and find myself fascinated by some of the mid-19th century imagery." Jim: "Oh, great. In a few months we'll see a billion photos on FB and Flickr shot with this thing. 'Art,' they'll call it." Mike replies: Well, they might call some of it that. But you know, this might mark the first time we actually were able to see a visual fad coming before it arrived! Except insofar as Petzval Swirl is already a fad. We've written about it here on TOP, even. "I think they should have made a second prototype before launching their Kickstarter. I for one would have been a lot more tempted to join in if the examples were better. In any case, items like this put a smile on my face, and inspire me to be creative." bill: "Maybe if they could get it to produce the Petzval look. Sorry, this is pretty lame to invest in right now. I would rather pay full price than get a discount on the hope they can pull it off. But good luck." Wjcstp: "I love stuff like this, and given that even at their current nearly $600,000 they haven't sold much more than 1,000 lenses, it's unlikely the world will be saturated with Petzval photos. Unless Instagram emulates a filter for it, of course. It's too bad one of the stretch goals wasn't a nice-looking brass adapter for Micro 4/3 cameras. I'd hate to put such a nice lens on my nice Olympus Pen with an ugly, chunky adapter in the middle." Michael Perini: "The LENS DADDY." Just a slight clarification for anyone who might be misunderstanding: in the "Guideposts" post, what I'm suggesting is that you think about how captions, titles, labels, and accompanying explanatory text function, and how they affect or might affect your work before or after it is made; because even not making a decision is a decision, and lack of clarity about meaning generally makes photographers' work weaker. I'm also curious as to whether being conscious about such things can help guide our work when we're out making it; maybe for some people? For instance, if I recall correctly, Robert Adams said that when he began the work that eventually became From the Missouri West, he assigned himself one rule, which was that every picture had to have some evidence of the presence of people. He made that decision as a conscious antidote to the overdone "pristine wilderness" mode of many Western landscapes. That kind of thing is what I mean by "conceptual guidepost." P.S. Oh, and pictures with captions have a long history in art photography, too. Jim Goldberg and Duane Michaels are the first ones that pop to mind, and I'm sure I could think of more. It might be an essentially photojournalistic convention, but it's far from foreign to other kinds of photography. P.P.S. Another tangentially relevant news item: I heard recently that people are now searching through old abandoned "antique store" photos, finding the ones with names on the back, and then posting them for sale on the Internet with the names listed. Then, people who are Googling their own names or the names of a relative find them, and are more likely to buy them. Some highly improbable reunions are happening via such methods. For instance, a relative recently purchased online a postcard of a local landmark (a hotel), and discovered when the postcard arrived that it had actually been written from one of her relatives to another one! How it ever came to be in the seller's possession she of course had no idea. Mark Cotter: "As a photography teacher, I'm going to steal that assignment title for my students next year! Thank you." Ed: "Well, some photographers give meaning to beauty using a caption...turning the beauty into horror. One example is Eva Leitolf, who is well known for her beautiful pictures of mundane places. But when you read the captions these places are far from mundane." Mike replies: Great example. You certainly can't grasp the meaning of her work without the captions. JG: "With regard to captions on 'art' photos, I recall seeing several of Phil Borges' gorgeous portraits from Tibet hanging in a gallery back in 1997 and he went so far as to stencil captions onto the glass of the shadow-box frames, which I thought worked very well for that particular body of work. (I also wish that I had purchased a few of them, too, because at the time, most were in the $500–750 range and even the most expensive was 'only' $1,500, all of which is a fraction of what they would sell for today. Plus, of course, the fact that they were absolutely stunning photos, period.) That said, I personally am of the school that a truly great photo doesn't need a caption or sometimes even a title (which is not to say that such things and fancy frames don't add something to the experience of viewing the photo, of course....)"
I love Photoshop Disasters in general, but some of them are particularly giggle-inducing. Some poor Japanese schoolboy is going to get totally freaked out by this young lady some day soon. Also found via Photoshop Disasters: really bad ads, on Buzzfeed. Some of these are so bad they're almost...good. Who says dishonest "photography" is no fun? Alex Vesey: "Don't know the origin of this image, but now is the season of spooky stories and ghost images in Japan. Popular magazines show photos of strange faces appearing where they should not be, people with missing arms, etc. Prime time TV offers similar fare with young celebs screaming and running around after 'encounters' with spirits. (Think 'Ghost Hunters' crossed with an MTV reality program). For some reason, many of these programs focus on schools at night—guess the homework or the boredom has created lots of lingering teen angst and frustration. This shot falls right into that category. Here are some other examples." Mike replies: You really think that's what it is? That would be fascinating, but less funny. In the comments yesterday, Stuart944 pointed out a nifty and fun little collection of random historical photographs. I'm a bit of a sucker for that kind of stuff. Changes the meaning of the photograph quite a bit, doesn't it? Assuming you didn't recognize him without the caption. Of course, it depends how much resonance "Charlie Chaplin" has for you, too. Naturally a film buff will find more meaning in the caption than someone who think's he's heard the name but can't really tell you where. The clearest "captionless" photo in that bunch (i.e., the picture that tells its own story) is probably the little boy with the shoes. A lot of what you want to know is right there in the picture. Even there, however, I don't feel like I'm worse off knowing that he's Austrian and that it was taken in the Second World War. Unfortunately, my rather snarky mind sometimes supplies captions when I'm out on the vast moors of the Internet looking at pictures. "Stupid snapshot by some stupid dude who's too clueless to realize it's a stupid snapshot," my snark-mind will say, when I'm looking at...well, a stupid snapshot. Or "Done-to-death cliché by a noob who doesn't realize it is one." Snark mind is sometimes just not nice. Notice how I blame this on my mind and not myself. How's that for the apotheosis of the passive voice? But you know, sometimes these thoughts pop up...and I'm a Grumpy-Old-Man-in-training. Of course, no caption is also, in a sense, a caption. It's the photographer saying "I don't want you to know the facts behind this picture. Just look at it and make of it what you will." But the point (I really am getting to it) is that one thing serious photographers really need to do is to formulate their stance toward captions. It actually helps determine what you're going to photograph and how you're going to photograph it. Because what you're deciding is what your relationships to the facts of photographs is going to be. Most photographs have facts behind them; many photographs have facts behind the making of them (such as, who took them and why. Note that those facts are absent from the pictures at the link). How about you? Do you care? Are you photographing to help convey those facts or are the facts simply incidental to some other concern? Have you positively decided that facts are coincidental to your interests and you're going to encourage the viewer to concentrate on other things about the picture or let the viewer think his or her own thoughts? Whatever you decide, it's important. Anyway, when you get a chance, take another look at that set of photographs and note the captions. Most are synchronous, symbiotic, superadditive. Even though they're simple. [Correction: An earlier version of this post had a Featured Comment attributing the picture of the little boy with the shoes to Ernst Haas. It's actually by Gerald Waller and was published in LIFE magazine. The little boy, a war orphan, had just been given the shoes by the Red Cross. Andrew Molitor: "One of the themes I am always gnawing on a bit is how photographs fit into whatever context they are in. How does one photograph affect our experience of the next, in a gallery? How does the caption, the title of the show, the artist bio, and so on, alter how we experience a picture? We're sort of trained to think of pictures in isolation, as things unto themselves. This is silly (in my opinion, of course), and increasingly counter-productive. An argument can be made that all the pictures have been made already, in some sense. How often do we see a picture and not think of it largely in terms of other pictures it more or less resembles? "Increasingly, what makes work interesting and important is that context it's embedded in, the captions, the rest of the pictures in the portfolio. The work is still necessary and vital, but in the age of a trillion photos, a picture needs more friends to stand with." David Littlejohn: "I recently 'inherited' my parents' box full of snapshots. As I went through them to try to make some sense of them, I found that I was much more likely to discard photos that had no captions, especially if I didn't know the people in them. Since then I have started printing out captioned collections of my wife's and my vacations, events, etc. and throwing them in my own box. (Lightroom is good for this because you can print multiple pictures on a page.) Maybe they'll be kept after I'm gone." Here's my problem. I've got too many windows open. In my brain as well as on my computer desktop! Mike, TOP's Outgunned and Undermanned IT Dept. I've put Ctein on temporary hiatus this week, even though he wrote a very nice column and submitted it on deadline as usual (he always does—Ctein is really one of the most professional people I know in terms of meeting his obligations. And here I mean "pro" in the most complimentary sense, meaning "efficient, businesslike, and dependable"). It's just that his topic happened to be tea and...well, I wanna keep talking about photography just now. Call me selfish. We'll run the tea column next week. Those of you who love the elixir of the tea plant have something to look forward to. P.S. Reminds me of that amusing game of defining yourself via a random listing of your geeky enthusiasms and how you fall on various "hot" either-or choices. For instance, Ctein is Photography / physics / science fiction / astronomy and space travel / Mac etc., whereas I am Photography / stereos / books / cars / billiards / Mac etc. In this sense I am coffee / dog and Ctein is tea / psittacine. But that's not why I'd postpone a tea column, I promise—such differences amplify the interest of our off-topic topics, not the other way around. Stan B. has it nailed in the "Are You Real?" comments. Photography is a big house with many rooms. There are always going to be all sorts of people within it doing all sorts of things. Making highly mannered, picturesque quasi-illustrations by overprocessing heavily is nothing new. Although it requires work and expertise, in some important ways it's a lot easier than taking an original photograph. Because when you're photographing a cliché, you have a guide: your pictorial notions of what the photograph should look like saves you from, well, deciding/discovering what the photograph might look like. And not knowing in advance can feel almost physically uncomfortable. Why risk failure? Let's say you're setting out to make a picture of an American flag. (Just as a simple example.) You choose your mode (ironic, reverent, whatever), and think of all the other renditions of the subject you've seen in that mode, and you set out to emulate them. You've already got a load of ideas in your head about what you "need" to make your picture. Then you find or create your subject, the subject becomes the pretext, you photograph it the way you're supposed to, and then you go to work gussying it up: jack up the color or tone it down, make the light glowy or harsh, whatever suits your preconceived ideas and your agenda and the conventions of whatever style you've chosen. To really make a photograph of a flag, you'd have to go out into the world and find flags where they fly. How do people use them, where do you see them, what do they mean? If you're open to discovering these things, rather than dictating them aforethought, you stand a chance to find out something new. And then every time you'd find something that interested you, you'd do your best to explore it with the camera...trying different angles, seeing it in different light, maybe asking for permission for access. These would variously succeed or fail, as happens with this craft. Situations that seemed so promising when you encountered them would obstinately let you down; "nothing" exposures you made as an afterthought might somehow just work out. Gradually, your own concerns would emerge from what you, personally, respond to. The work would begin to resonate with your own "genius," in the sense of that mysterious thing that makes you you. If you dislike patriotic clichés, you'd do an about-face from that kind of image. If you found your respect for the flag's symbolism deepening, you might gravitate naturally toward heroic or respectful interpretations. But after a certain amount of work, you can't really sustain adequate energy for a mode that doesn't appeal to you; and you'll naturally begin to gravitate toward whatever you find gratifying, fascinating, or important. Along the way you'd take many "perfect" images of flags for which you know unsophisticated viewers would reward you with praise. You'd take pictures that could be dressed up into trite, hackneyed photo-illustrations if you had the patience to follow all the Photoshop recipes. And of course you'd discard those. After photographing dozens of flags over weeks or months, you'd see your own personal "take" on the subject beginning to emerge, and you'd notice that among all your attempts, you're getting a few that seem to have...something more. Some kind of vibe or mystery or "punctum" or quirkiness that somehow makes them vibrate for you, makes them rich and good to look at. You find there are a few you can go back to again and again, and enjoy looking at more each time you see them. You work and work to edit. Pictures you were inordinately proud of after you made them fall away; pictures that didn't grab you at first won't go away. You shuffle and consider and juggle and look and look and look and look. Eventually, you've made a photograph of a flag. And maybe no one will say "nice capture! ", and maybe no one will buy a print for $40 at a fair, and maybe your relatives will say politely, "Hmm, now, why did you photograph it that way?" But you'll love it, and never tire of looking at it, and every now and then it will knock somebody's socks off, just take the top of their head clean off*. And you've made a photograph. And that's hard, very hard. Don't mind all the people who don't care to go to the effort; who can blame them? Photography is difficult. Polly: "The difference you describe is similar to what I think of as generative creativity vs. responsive creativity. In generative creativity, you decide what you want to create and then set about bringing it into existence, whereas in responsive creativity, you respond to or interact with what is before you—it's more of a dialog. I think both are legitimate processes, even though I personally am firmly in the responsive category myself." Dave: "I'm reminded of a passage in a post by Kenneth Jarecke: 'To think that you can come up with a better idea than what the world is offering you (in exchange for a little patience) is foolhardy. Life is more creative than you. Spend some time looking around and it will give you images that you could never imagine yourself.'" The lava was hot, but the flames were for the shot: Turns out the 'lava photographer' picture we linked to the the other day was sort of real, sort of not...it wasn't a hoax, exactly—it's an undoctored photo—but it was staged. The photographer and his unseen henchman used an unnamed accelerant (lighter fluid, maybe?) to set his shoes and tripod legs on fire. But he says he did it as a joke for his Facebook cover photo and didn't expect or intend to become a viral star. Imaging-Resource has more about the story. Air vs. Pro conclusion: My thinking about this after sleeping on all the comments (for which, many thanks) is that I'll get an 11" Air for travel and replace my iMac next February with a Mac Mini (by then I will have an extra 27" Cinema Display that will not otherwise be in use). One interesting wrinkle: I had been assuming that I need a way to download pictures to a hard drive when I travel, so I can reuse cards—true in the past. Upon further consideration, that might be 'oldthink' now...cards are now so big and so cheap that I can just take more cards and not worry about reusing any of them. I never process pictures on the road anyway...that task always waits until I get home (and, uh, then some, usually). Vince: "Oh, no, please don't. You don't copy the pictures off the card (just) so you can re-use the card, you copy the pictures off the card so you have a good backup while you're in the field. You need something to copy those pictures to, whether you process them or not. Otherwise, you have a single point of failure—if the card fails, if the card is lost/stolen, the pictures are gone. It's not 'oldthink' to always have a picture in at least two separate places when in the field. It's 'goodbackupthink.'" From Dave Hill’s "Adventure" series. Lighting, compositing, processing—Dave made his name by cranking it all up to 11. So who needs reality when you can create photographic fantasies this seductive? Jazz fans may recognize our title as the name of a memorable song by the great jazzman Benny Golson*. When asked about the words, he supposedly said, "You know, you meet someone and you think, is this just too good? Can this be for real?" I found myself humming Benny's tune while helping judge a photo contest a few months ago. Technically, the quality of the entries knocked me out. But it almost seemed as if the more accomplished the photographer, the less I believed in their photograph. Generally the images fell into two categories. First, a clean, beautifully composed if rather anodyne style that recalled traditional commercial photography. Second, a more pumped-up, ultra-dramatic look, the kind that inspired one blogger to ask, "Why do photo contest winners look like movie posters?" And sure enough, those were the ones that took most of the awards. What both kinds shared, to me anyhow, was a purposeful detachment from the look and feel of the real world. Almost all appeared to be staged and lit, and most had a certain self-consciously "processed" style to them. There were few rough edges but not much spontaneity. Visually, you couldn't help but be impressed. But emotionally I found no jolts, no tugs, nothing much below the high-gloss surface. I confess to much the same reaction looking at the top-rated images on the big photo-sharing sites. While the nature photography in particular can be extraordinary, these photographers' powers of candid observation rarely extend to the one species of greatest interest to most of us. You know, the one called Homo sapiens. There it's mostly beautiful women or elderly exotics or adorable children, so flawlessly posed and presented that it's hard to believe they have a life outside the frame. Youth center, South Africa. Good, old-fashioned black-and-white documentary work. The photographer? Dave Hill. It’s gratifying to know that photography's Mr. Spinal Tap enjoys nothing more in his free time than a 35mm camera loaded with Neopan. OK, I'm prejudiced. I came of age in the last great days of print photojournalism. To me, the most powerful and enduring images are the straightforward visual documents, unstaged and often imperfect, just as the world itself. When I look at old photographs it's most often on the likes of Shorpy or Found. Collections like these teach us that honest images of "ordinary" events, people, and places can take on an unexpected richness and significance over time. These are photos that become more valuable, rather than less, as the years pass. The young photographers I work with show little appetite for that kind of thing. I've interested a few in the approach many of us used to take to learn photography: find a subject, preferably close to home, and then work to document it over weeks or months or more. Most however prefer to focus on what we might call the expressive side of photography, using all the remarkable tools of digital photography to create something that says more about their own imagination than the world at large. They aspire, it seems to me, not so much toward photography as photo-illustration. And why shouldn't they? Partly it's a generational thing. Their role models aren't Eugene Smith or Garry Winogrand, but LaChapelle and Rankin. Partly it's easy access to the technology: if you can visualize it, now you can probably do it. But beyond that, it's hard—and only getting harder—going around and poking your camera into other people's actual lives, especially for non-professionals who have no financial or career incentive even to try. Why not set it up, light it up, Nik it up, and assemble something with undeniable visual impact that also slots neatly into the current popular idiom? "Boys run before a crowd in the 'Junior Race' at Eton College in Windsor, England, August 1919. Photograph courtesy Central News Photo Service." This just happens to be the top post on Found on the day I'm writing this, but it makes a fine demonstration of the time-machine qualities of a good documentary photo: nothing more and nothing less than a fraction of a second of a summer’s day, almost a hundred years ago. Well, there's no reason not to, if you like. But for those of you who haven't tried your hand at straight documentary photography, here's my case for giving it a shot. Apart from motion pictures, still photography remains the most powerful means we've ever been given to capture moments from the flow of time and then hold them up to say: this is what I saw. This is how it looked, and how it felt, to be alive at this moment in this place. A remarkable thing, when you think of it. But it works only if you turn your camera on the world as it is, not an idealized simulation of it. And most likely, these days, it's not going to win you many photo contests. *Benny recorded a few different versions but to my mind the definitive one is with Art Blakey and the Jazz Messengers on Moanin' (Blue Note 4003). bill: "I recently entered a juried show, 60 from ~2000 entries were shown. I entered a strong side light chiaroscuro picture. No more manipulation than standard darkroom. I was stunned at the technological manipulation present; 'real' seemed not a consideration at all. During the two openings, I listened to the wows over the manipulated pics, and how if I had spent the time mine could have been really good. The curator apologized but said this is the trend. I don't think most would know 'real' if it jumped up and bit them. Sad." David: "Very well said Mr. Kennerdell. I'm 38 which makes me not exactly young but not old either. When I got into photography 10 years ago I was primarily interested in taking illustrative shots like you describe. However, while out on one of my many photo expeditions I had a bit of an epiphany. I realized that my photos weren't going to hold up over time. My style of shooting only looked good because it was leveraging the cutting edge of technology. In the not so distant future anyone with a newer camera or better processing technique could come along and take a photo that rendered my images dated and useless. I decided to change my subject matter and style. Fortunately, I was a TOP reader and Mike had introduced me to Shorpy. From then on I tried to shoot with an eye towards history. Will my photo still be interesting in 100 years? That's the question I keep in the back of my mind when I'm out taking pictures these days." Dennis (partial comment): "The same critque could be applied to this summer's blockbuster season of duds. Lots of imagination in the service of nothing." Svein-Frode (partial comment): "Digital cameras and Adobe Photoshop is to photography what Roland and Yamaha were to music in the 1980s. New technology that becomes in vogue easily gets overused and abused, but then most things return to normal. After Hair Metal came Grunge, and talking of jazz, even the mighty Miles Davis got lost in synthesized music in the '80s." Stan B.: "Photography is big enough to accommodate a variety of styles, even extremes. Always has, always will. That doesn't mean that they will all have equal footing and enjoy equal access and appreciation—not by a long shot. As far as the young-uns are concerned, yes, many have no clue whatsoever as to what came before them—that extends to history in general, let alone photographic history. Ironically, it is some of them that have revolted and returned to 'the old ways,' helping keep that tradition alive." Richard Skoonberg: "My wife, a former art professor, when she saw the first image said, 'It's an illustration. It's an illustration using photographic techniques. It is miles away from photography.' Succinct and to the point." Clay Olmstead: "This is not the age of subtle. It's the age of getting noticed. Specifically, getting noticed by being more outrageous than anybody else. You see it in art, music, TV and in the news. There's no reason for photography to be immune."